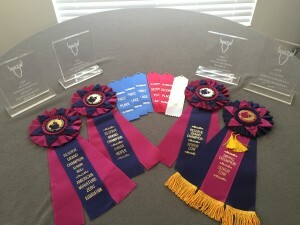 Awards from the 2018 North Louisiana AG EXPO Miniature Zebu Cattle Show on January 19th. 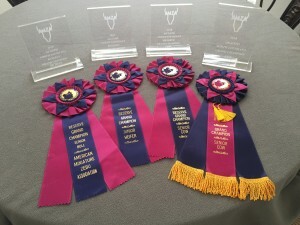 We were awarded Reserve Grand Champion Sr. Bull (Zephorous), Reserve Grand Champion Heifer (‘M’), Grand Champion Cow (Lillee), & Reserve Grand Champion Cow (Mercedes). Despite the 770 mile trip to LA and the very cold temps, this group did great.